We've gotten a lot of positive feedback over the years. See below for a sample of what other people have been saying about their experience with Ultra Comfort. Did you have a great experience with us? Submit it by filling out the following form. "I could tell you many stories that shed more light on the integrity and humility that Ultra Comfort Heating and his team of professionals pose but would need some days to paint this picture. There was the time Gary came over to our house on Thanksgiving, not to eat turkey but to assess a problem we were having with our furnace. I feel I could say a great deal more but the best advice I can offer is to contact or hire Ultra Comfort Heating & Air Conditioning, this has been the best choice I have made. Ultra Comfort Heating & Air Conditioning you are trust worthy and a man of your word. Keep up the great work; I will continue as always to refer you." "I want to thank you for a very fine job. You and your crew has done everything just fine. Your men are on time in the morning, courteous and do a good job. Thank you." "I just called Ultra Comfort Heating & Air Conditioning. To mention to the service department dispatcher Heather, (who is great as well) that Philip, their technician, is a true professional and an asset to the company. I have had nothing but a great experience with the services and attention provided. Thank you." "Thank you very much for your work in our house. We hope, you had a very nice thanksgiving. We wish you and your family all the best, and have a wonderful Christmas. Thank you again for your work, all of your guys were great." "I recently had my air conditioning and furnace installation done at my home and I would like to commend the excellent demonstration of this installation. The crew Ultra Comfort Heating & Air Conditioning were professional and made sure that the job was done right and ensured that I was comfortable with the new equipment. What a great experience!!! Thanks." "I have been with Ultra Comfort Heating & Air Conditioning for some time now and it is because they have employees like Michael that provide a high level of service that is appreciated even more during difficult times like yesterday. Michael thank you for all your help, and might I add patience, in working with me to ensure my family had heat and hot water. ."
"You asked that I report back to you concerning my satisfaction with the furnace and coil replacement at my home. I am very satisfied and all is working well. My home is comfortable. Your staff was courteous, clean and professional. No mess and no trouble. Thank you for a job well done. I will pass the word around.."
"Ultra Comfort Heating & Air Conditioning. is an Accredited Business with an A+ Rating by the Better Business Bureau. Click here to review Ultra Comfort Heating & Air Conditioning Performance with better business bureau" Going Above and Beyond "I can't begin to say enough good things about your company. I had an emergency and you were there! The young man you sent Rob to install my boiler was one of your best. Rob did a great job and was so polite and helpful. It is not often that you can find the service your company provided today. Many, many thanks to you from us. "You asked that I report back to you concerning my satisfaction with the furnace and coil replacement at my home. I am very satisfied and all is working well. My home is comfortable. Your staff was courteous, clean and professional. No mess and no trouble. Thank you for a job well done. I will pass the word around." "They constantly present themselves with professionalism and a wide range of technical abilities. Their service is timely and efficient. They perform the job correctly, the first time! What a huge relief to have a dependable service company." I would like to take an opportunity to offer a letter of commendation of the excellent work by at Ultra Comfort Heating our synagogue. Thank you very much for the service your company has provided us for more than 10 years. The manner in which you do business is an example to all service companies.We appreciate the posture of being most concerned with the customer, then the possibility of doing more work. There are too few people in your industry with this attitude. We have depended on at Ultra Comfort Heating to provide expedient responses to service requests, and can honestly say we have yet to be disappointed by the timelines or results.Lastly, I would like to mention the professionalism I have received from your technicians and account manager. She is always available to address any situation that comes up for service and is very prompt in returning my calls. "I wanted to write and thank you for the outstanding job that everyone there at Ultra Comfort Heating has done for us. From dealing with the owner of the company to the technicians, and then the follow-up, everyone has been a joy to know and work with.Thank you for going the extra mile to fine tune and complete our project. Thank you for your interest and desire to make sure everything was done right and to our satisfaction. This was a major project for us with many different companies involved. For the most part, everyone who took part did a good job and we were glad we chose them. Out of all those companies though, Ultra Comfort Heating would rank at the very top. You provide good sales as well as excellent service. Thank you again for the outstanding service provided thus far.We look forward to working with you as future projects arise for us. In addition, I will highly recommend Ultra Comfort Heating to any individual or company who has HVAC needs." "I am writing on behalf of (area IT company) to tell you how pleased we are with the excellent service Ultra Comfort Heating has provided us. From start to finish, it has been a great experience working with the personnel at Ultra Comfort Heating.Not only do we always receive quick response to our calls for service, we get a follow-up call telling us when to expect the service personnel to arrive. 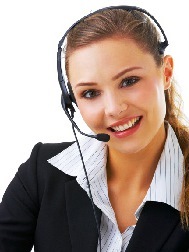 Your service personnel are extremely well-mannered, very professional and knowledgeable. If they are unable to finish or need to return for any reason, we receive a full explanation before they leave our premises. A receipt for the work done is always presented with a full explanation as to what was done before the service personnel depart. In today's world, good service needs to be recognized."